Summary: As a war between humankind and monstrous sea creatures wages on, a former pilot and a trainee are paired up to drive a seemingly obsolete special weapon in a desperate effort to save the world from the apocalypse. Pacific Rim is a 2013 American sci-fi, action-adventure film directed by Mexican filmmaker Guillermo del Toro. The movie’s screenplay is co-written by Travis Beacham and del Toro himself. 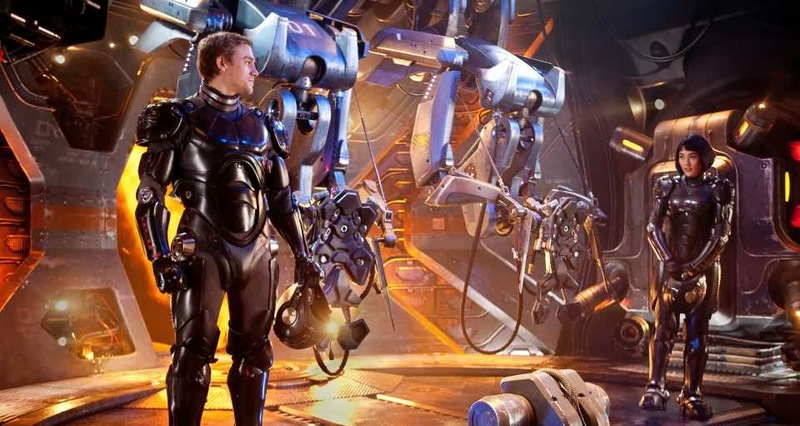 Pacific Rim stars Charlie Hunnam, Idris Elba, Rinko Kikuchi, Charlie Day, and Ron Perlman in major roles. A futuristic film set in the 2020s, Pacific Rim presents the final chapter in the devastating war between humankind and an alien race of monstrous sea creatures called “Kaiju” which emerged from deep beneath the Pacific Ocean through a fissure between two tectonic plates, an inter-dimensional portal termed as “The Breach”. The human race, in a bid to fight these monsters, is forced to create monsters of its own known as “Jaegers”—gigantic humanoid robots controlled by two human pilots, whose minds are connected by a neural bridge capable of establishing a psychic intimacy through a phenomenon called "The Drift". Doesn’t the story sound familiar? Well, you bet! Apparently, the plots of almost all modern sci-fi films, especially those spawned by Hollywood, seem to revolve around the very same context. The aliens are on the charge and the bravest amongst our race must rise to the occasion and put their lives on the line in order to save the world from an impending apocalypse. And, invariably, the only aspect that differentiates it from the other films of its kind is its visual appeal. How grand is the use of CGI and VFX is all that matters. For, these films are all style with very little substance. 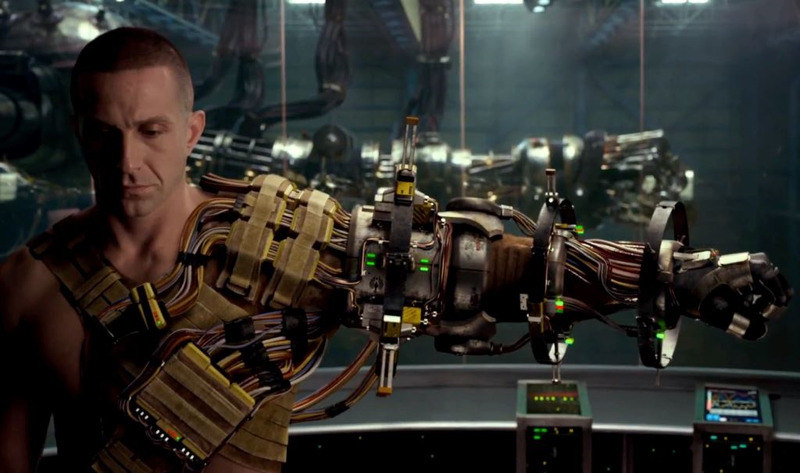 On the face of it, Pacific Rim appears to be no different. In fact, with regards to its visual makeup, Pacific Rim comes across as another perfect summer blockbuster made in the vein of Transformers or Iron Man films. Honestly speaking, this critic, after seeing the movie’s rushes, was more or less convinced that Pacific Rim was just another ostentatious, run-of-the-mill Hollywood product in the making. But, Guillermo del Toro never ceases to amaze with his genius! Pacific Rim is not merely a visual spectacle but it’s also a film that can be deemed a consummate cinematic product: a great deal of attention is given to character development, the narrative works well on the emotional level, and occasional bursts of humour ensure that the tension gets punctuated every now and then. Pacific Rim reminds this critic of another very well made sci-fi film that seemed to perfectly blend flamboyance with substance: Neill Blomkamp's brilliant District 9 (2009). But, make no mistake! The content of Pacific Rim is far from being original. In fact, the film seems to borrow a lot from classic sci-fi films. 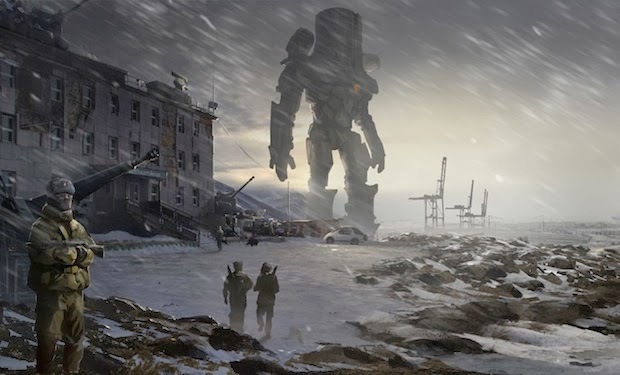 Thus, it wouldn't be wrong to look upon Pacific Rim as del Toro's homage to classic films like Star Wars, Independence Day, Godzilla, Avatar, and Transformers. 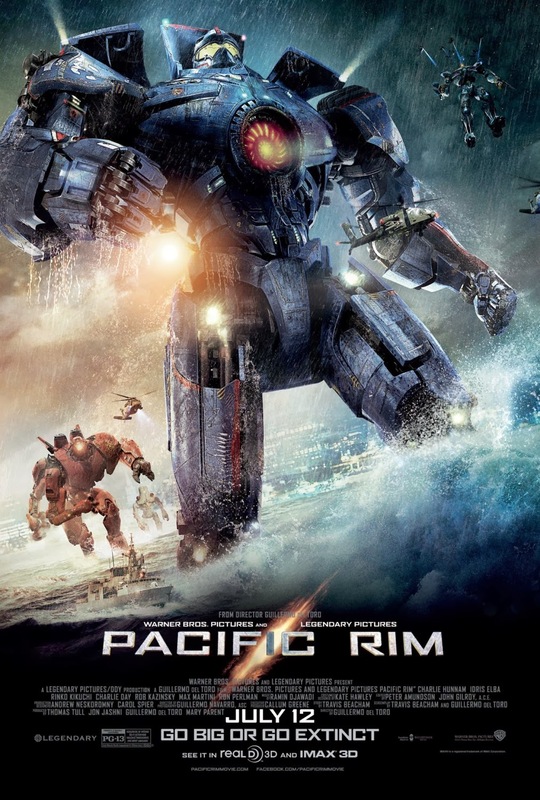 Overall, Pacific Rim comes across as an extremely well made sci-fi, action-adventure extravaganza. Its breathtaking, sumptuous visual graphics clubbed with a strong emotional quotient make it one of a kind. No one but Guillermo del Toro (having achieved something similar—albeit in a much more profound manner—in his 2006 Oscar-winning film Pan’s Labyrinth) could have handled a seemingly commonplace plot with such delicacy, ingeniously transforming it into an end product that's not only richer but also smarter than the rest. While the acting is solid all around, the cinematography, editing and music are all, without a shadow of a doubt, topnotch. It’s quite shocking that del Toro’s film has gone completely unnoticed at this year’s award functions, barring a single BAFTA nomination for Best Special Visual Effects. Pacific Rim offers truckloads of entertainment and keeps the viewer on the edge of the seat, throughout its runtime. It’s a heady cocktail of style and substance that packs a powerful punch. Highly recommended! I particularly liked the movie, and quite agree with your opinion that it was quite an honest summer blockbuster so to speak and yes, Del Toro's brilliance shows through quite a bit in this movie.